Experience Singapore's forefront music scene in its various live music bars or unleash your voice in one of the popular karaoke venues. Singapore has all that you need if you are a music lover. Explore our selection of live music and karaoke bars, most of them found along Singapore River and Club street in China Town. If you want to enjoy some live music entertainment far from the overwhelming concert venues, Singapore's nightlife offers a certain amount of bars featuring unsigned bands and amazingly talented artists. Do you love playing with the microphone? 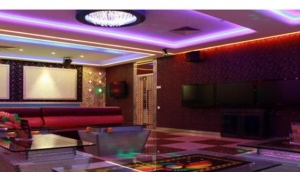 Try out some local karaoke bars or karaoke box, which is in Asia the most popular type of karaoke venue. Grab a drink and relax in one of these joints for music lovers and you'll uncover the intimate side of Singapore's music scene.